If you hadn’t noticed, DDOS attacks have become common enough that nowadays they’re just a regular thing that happens every so often. Pick any major game service, be it Xbox Live, PSN, RuneScape, World of Warcraft, etc, and odds are it has experienced service disruption in recent months due to these attacks. In the case of APB Reloaded, Reloaded Productions has thanked its community for bearing with them over the course of recent attacks. As compensation, any player who has logged in between June 26th and today (September 10th) will receive two free inventory expansion selectors. 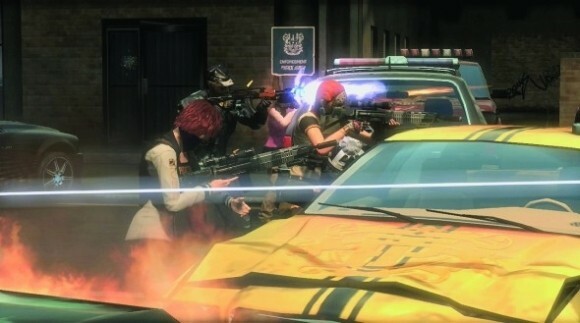 Over the last couple of months, we’ve seen DDOS attacks on the rise again for APB as well as other games. While we’re working with our Mitigation provider to combat these new types of attacks, we know that it’s an unpleasant experience for our players. As a small token of appreciation, we’ve delivered 2 codes for Inventory Expansion Selectors, this is for all players that have logged into a district from June 26th to today, and is good until September 22, 2015.